Incredibly versatile and extremely chic. This is the sneaker we’re reaching for on days we run out the door! From chic jogger to a ribbed knit set, off-duty vibes is always the way to go! 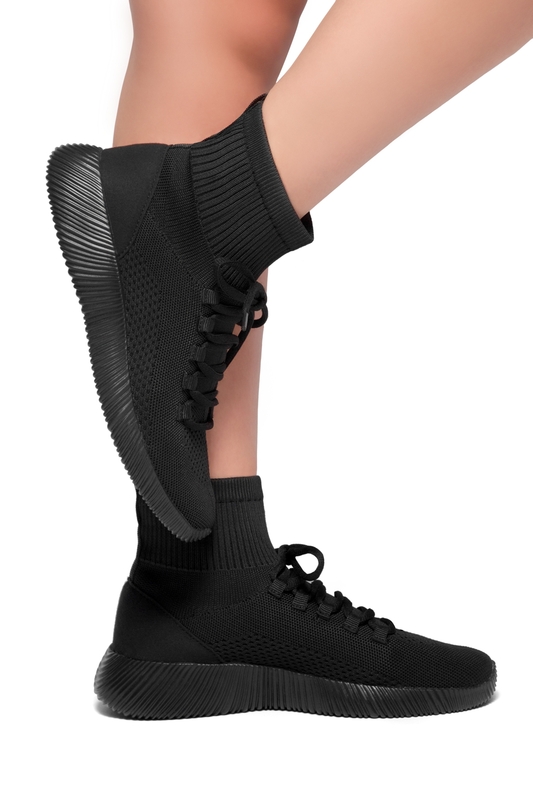 These sneakers feature a knitted style with an ankle rise fitted design. Lace up front. Cushioned sole with rigged detailing. Available in Black, Grey and Olive. I love the style and comfort that these sneakers catered! This item has a different style and super duper dope that they also are not hard to walk in.. It definitely matches up an outfit. I\'ve gotten a lot of compliments about it.